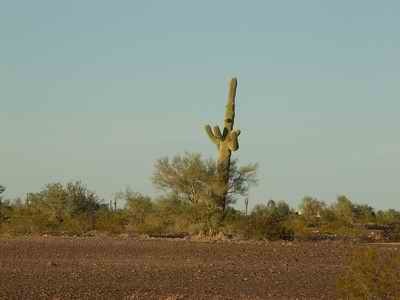 Quartzsite Arizona is that mystical place that every RV'er needs to visit at least once! 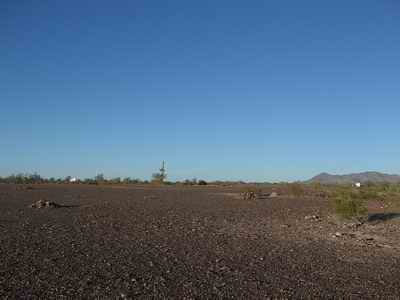 Quartzsite has great Boondocking on BLM land. Quite a "Gathering" happened here in March, 2015!! 2015 was the 50th Anniversary of the QIA so they hosted a series of events on March 6-7-8, 2015. A celebration of Grand Parents, Great Grand Parents, and family. 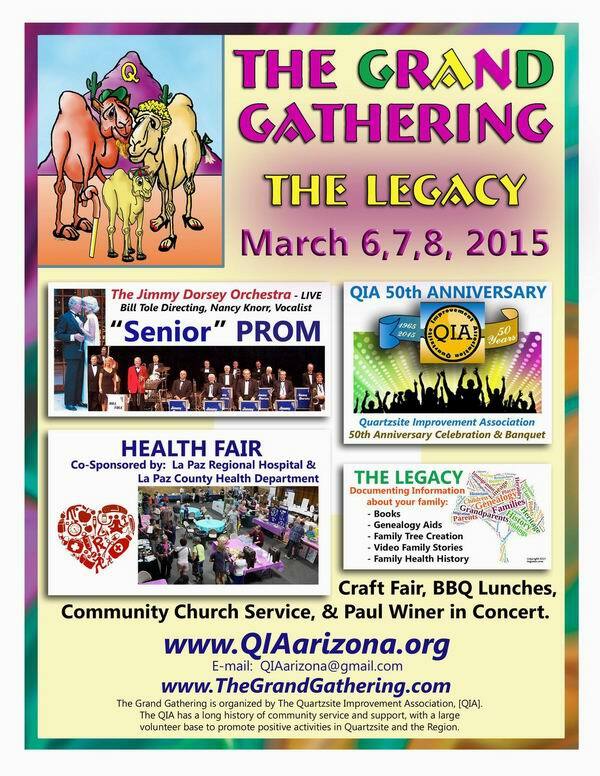 THE GRAND GATHERING 2015 - The Legacy, hosted by The Quartzsite Improvement Association, was a celebration of Grand Parents, Great Grand Parents, and Family. The Grand Gathering 2015 - ‘The Legacy’ featured creating important information to pass on to your family. Live entertainment, special events, food, and vendors complement the event. 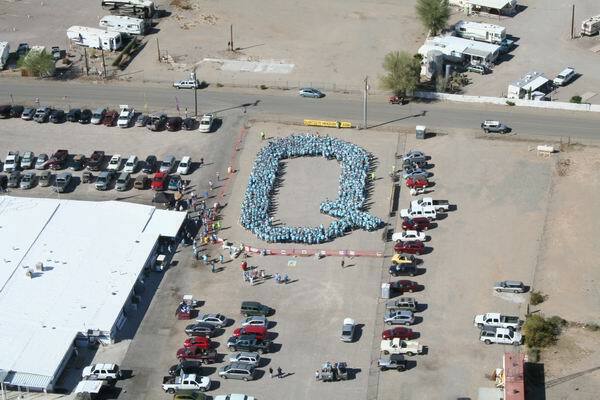 In the 2014 season I had the incredible pleasure of being part of the GUINNESS WORLD RECORDS® attempt while volunteering at the QIA - Quartzsite Improvement Association. There were so many wonderful volunteers making this all come together. The idea was started by a fellow named John Hendrix, from Washington State. 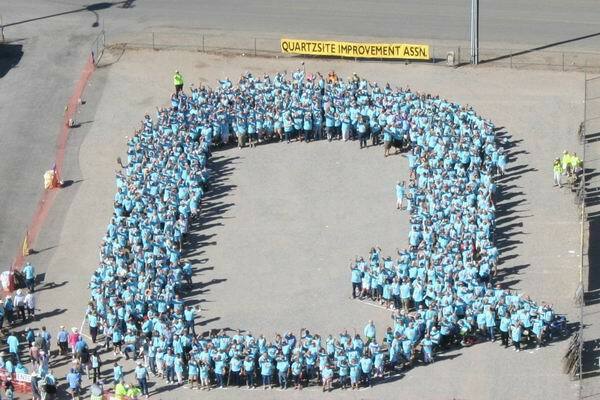 From his one idea came the event of the year for Quartzsite - it put it on the WORLD MAP! All this is leading up to something! Yup - yours truly was part of the picture taking and the QIA Website. 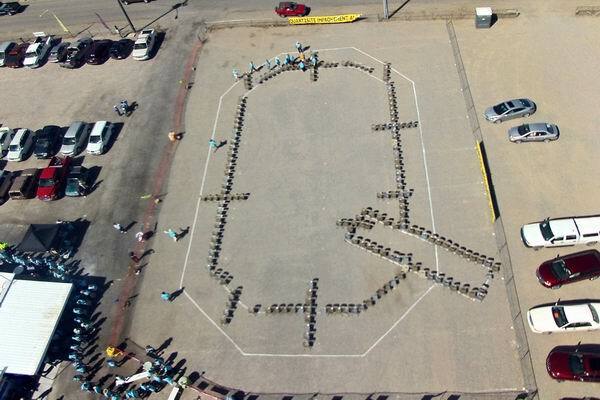 As a result "I" got to be the overhead photographer from a helicopter donated by the TriStateCare Flight and their pilot Jennifer Arink. Not too many neighbors in November! 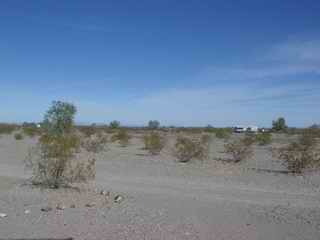 A very easy and famous place to try RV boondocking is Quartzsite, Arizona. The town is completely surrounded by BLM land that the government manages for us and allows boondocking pretty much anywhere. You can park within a few feet of a roadway, or go several miles away from that same roadway and set up your own little "paradise" for up to 2 weeks at a time. Legally, you must move after the 14 days, if you are in the "Short Term" areas - although, no one seems to enforce it! Course, if you are a problem "neighbor", I'm sure a Ranger would think otherwise! 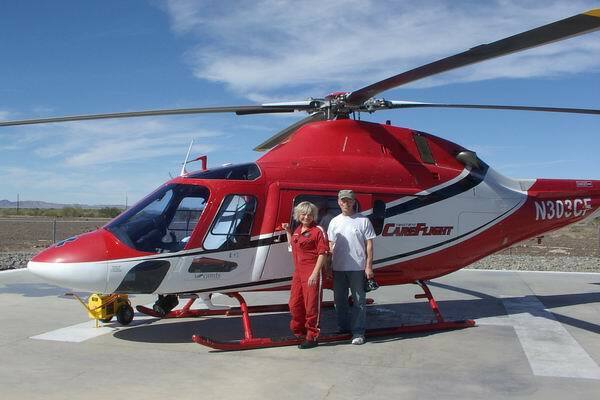 The beauty of Quartzsite is you are within a few miles of town for water and sewer resupply; yet, you can be in the remote desert within a few minutes. It is an extremely popular area from December through February with lots of RV Shows and other Flea Markets to enjoy. The Quartzsite Improvement Association (QIA) is getting all cleaned up and ready for another great season with lots of activities and plenty of new events scheduled! Be sure to take a look at their Calendar page to see all the various classes, concerts, events and dances! Many campers chose to stay here for months at a time, others will do it for a weekend. How long you chose to "stay out" will be up to you and your supply of water! If you want to stay here for the entire winter, purchase a "Long Term BLM Parking Permit" and join the thousands of RV'ers that park in the 2 HUGE Long Term Parking areas just south of town. The one farthest south, on the east side of 95 is the Water and Dump Station for the long Term Parker - what a great deal!! Many of us enjoy the solitude of the quiet surroundings of it. Even if you are a "social" personality, there are plenty of areas that you can be "near" a neighbor, yet on your own. Perhaps you can see each other for dinner or breakfast and then enjoy the quiet otherwise? Give it a try - you just may enjoy this type of RV Living! Here's a Basic Map with most of the "necessities" pointed out - water & dump, USPS, Hardware Store, Big Tent Show Area and of course, the 4 large BLM Land Areas. Be sure to hit the Blue Link just below the Map for a LARGER version! Yo - Why ya gotta park so near me!?!?! 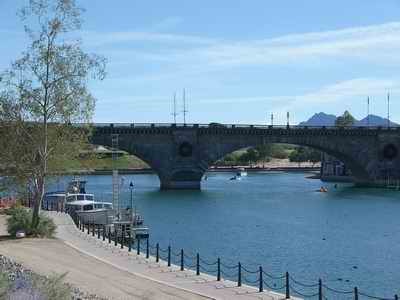 If you have a chance, be sure to drive through Lake Havasu and see the actual London Bridge that was purchased from England and brought here and reinstalled over an inlet area of Lake Havasu. Pretty neat part of history to actually see in a desert town of the United States! By mid-January you'll have plenty of neighbors! !